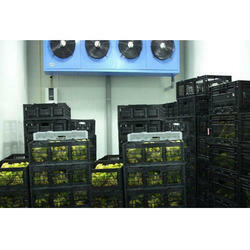 We are one of the leading manufacturers, exporters and traders of Fruits & Vegetable Sorting Grading Machine. Our experts render prefabricated structures for the Fruit Ripening Chambers that are comprehensively used for various fruit pulp processing units. 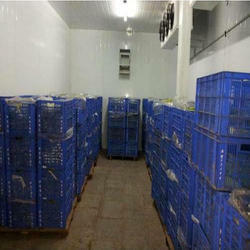 We provide ripening chambers for banana and mango. This fruit ripening chambers can be assembled at any location specified by the clients and as per the dimensional needs. We ensure to make this fruit ripening chambers available at competitive prices. With firm commitment to quality, we are manufacturing and supplying a comprehensive range of Mango Ripening Chamber. 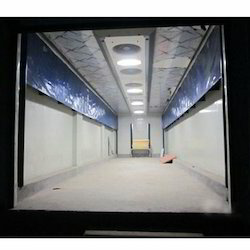 Our Mango Ripening Chambers product-line is highly appreciated by the clients for its admirable quality and high performance. 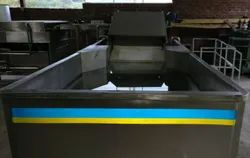 These Mango Ripening Chambers products are used as an effective forced draft cooling system, which is in adherence with various quality and health standards. Also, we customize the offered range as per the specifications detailed by the clients. Our cooler is mounted to the central corridor ceiling. Because of the central ceiling the the room gets equal cool temperature and the ripening process speeds up. It can also be fitted with the two way air circular system for a better result. These ripening chambers are easy on customers pockets and are of Low maintenance. Because of the temperature conditions the shelf life of the fruits is increased. Thou these fruits are of perishable nature they do not wither away before the usual time. Because of this feature the chambers are more profitable. As they have a longer shelf life and less maintenance costs. Because of the airbag system the airflow is controlled. The result is that equal ripening of fruits is happened throughout the entire room. We are offering Banana Ripening Chamber which is designed bottom up to maintain the precise conditions required by each specific application. Factors such as humidity, temperature, ventilation, and specific gas emission levels within each ripening chamber are tuned to optimum levels in each chamber design, based on requirements at each facility. 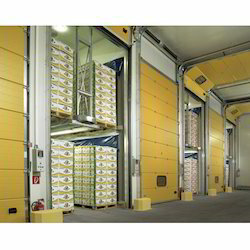 This imported ripening system are mounted to the central corridor ceiling across the full length of the room. Our evaporator operate with only a small temperature differential in order to minimize weight loss. The air flows through evaporator and is ejected into the space between the pallets and the wall in the room. Combined with the ceiling system of your choice. This ensures equal ripening through out the entire room. Your system can be fitted with a two –way air circulation system for even better results. Low energy consumption thanks to the use of special motors and easy maintenance are other key features of our design. The cost –effective exploitation of fruit depends on various criteria including seasonal influences, perish ability, shelf-life, fruit quality consumer demands and consumer preferences. By choosing the imported system you benefit from premium fruit quality, a longer shelf life, minimum product losses and low operational costs. Functions as pre cooler and auto-fruit ripening . Pressurized Fruit Ripening and forced air circulation. Can be used on lower load of fruits if whole room not filled. Patented and copy righted property. Looking for Fruit Ripening Chambers ?